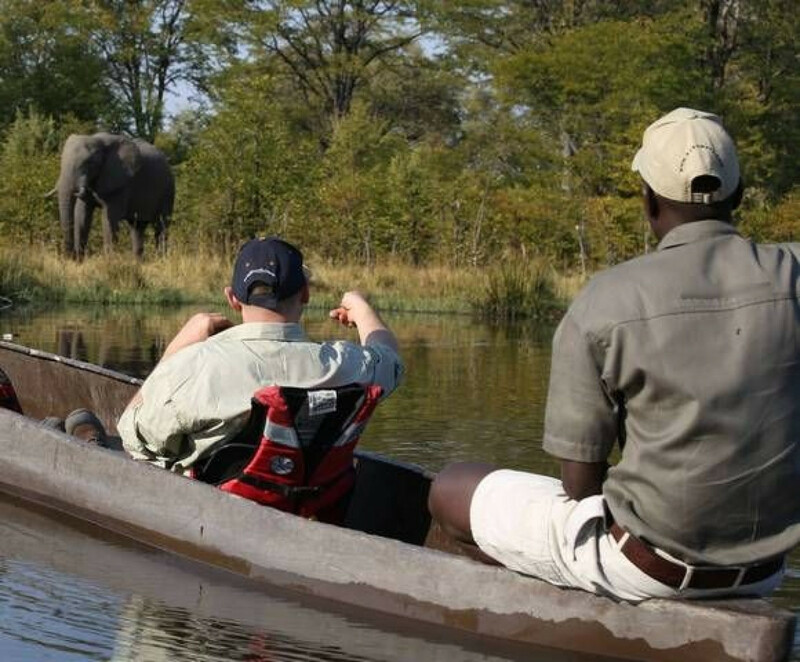 Our mobile camping safaris are the most cost-effective way to go on safari in Botswana. 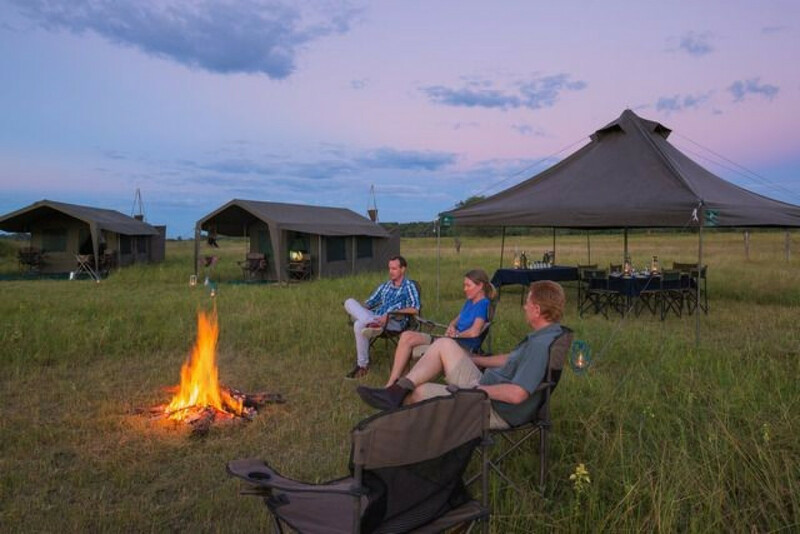 At just $500-600 per person, per day, this safari costs less than half of what permanent camps in the high season can cost (see prices here). There's also 10% discounts for children 12-17 (minimum child age is 12) and no single supplement charges for solo travelers. Prices are kept in check by eliminating the costs of maintaining a permanent camp; everything you need to camp in style travels with your group: large en suite safari tents (with loo and shower), beds, and the kitchen get packed up when its time to move on to the next site and rebuilt by the time you get back to camp after your afternoon game drive. Our scheduled departures are designed for very small groups of not more than 7 guests with set dates of itineraries. But you can create your own group and travel on dates of your choosing! Forming your own group of 6 guests, the cost of a private departure on custom dates, is the same as a set small group departure! This makes a mobile safari a great option for families, groups of friends, clubs, co-workers and other small groups. 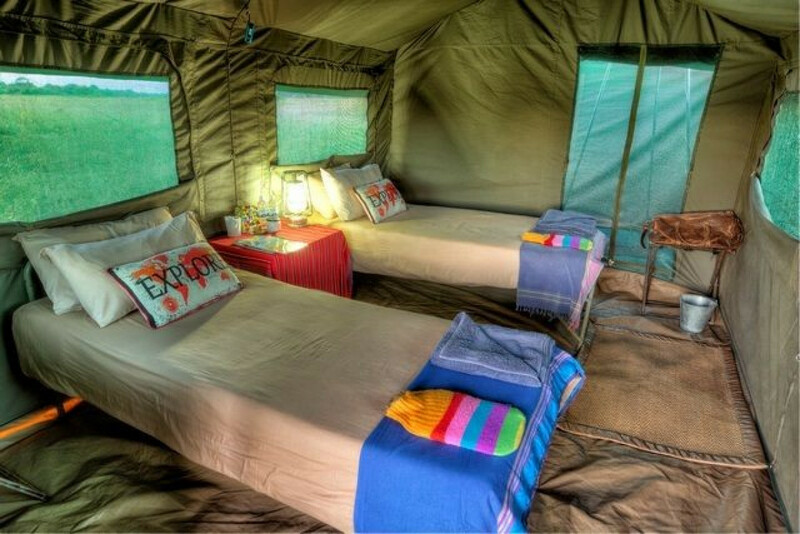 More glamping than camping, our simple camping operations harken back to the way that safaris were originally conducted in Africa. 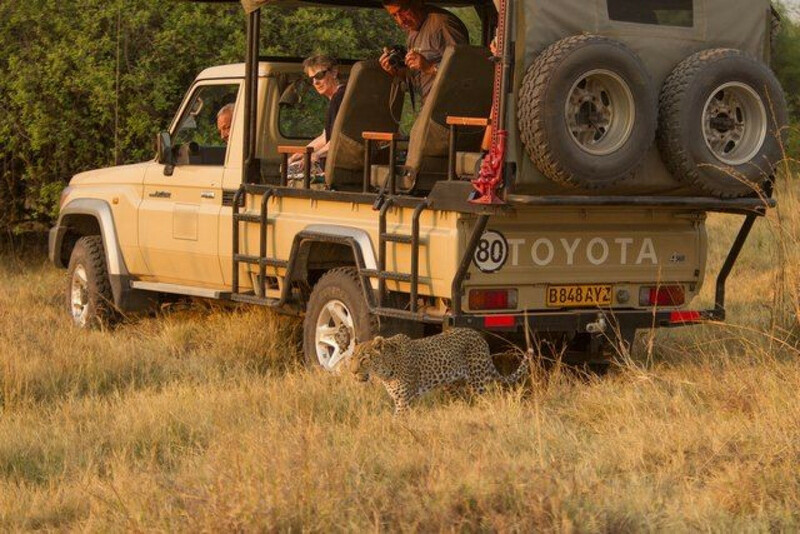 There's no flying between camps – instead you move at the pace of wildlife as you are driven in a 4x4 through astounding landscapes and remote wilderness. It's you and a small group of friends with your naturalist driver guide leading the way, exploring the wilds and staying in simple yet comfortable camps. Simple doesn't mean rustic – you'll have hot showers, comfy beds, and hearty meals that are cooked over an open fire and enjoyed under the endless starry skies. After swapping stories around the campfire you'll drift off to sleep to the nocturnal soundscape of Botswana's wildlife. You'll need to book about a year in advance (or more) as space on these trips is limited and in demand! Next year's date have just been released so don't wait to book! There's plenty of options to extend your time to places like Cape Town, Namibia or Zimbabwe. When you are ready to start planning your adventure, let me know – I'm happy to help!